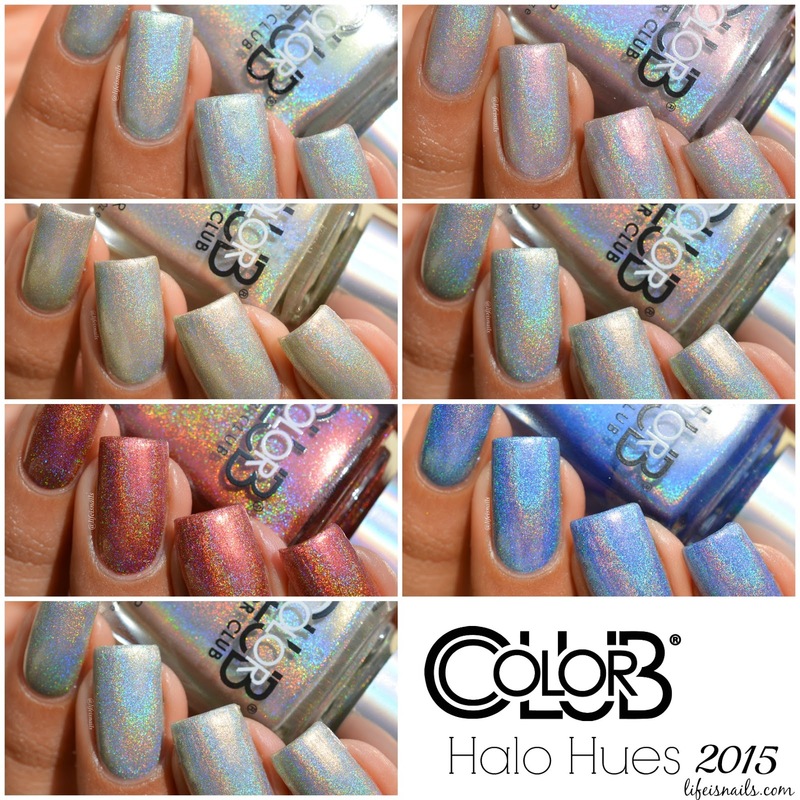 Today I have swatches of Color Club Halo Hues 2015 to share with you! 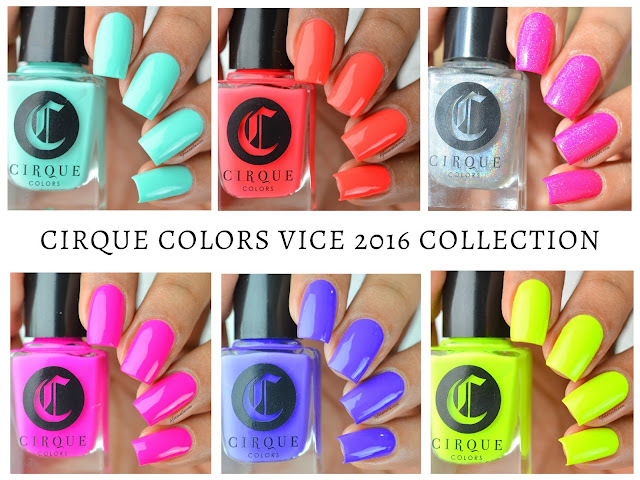 Carmen from Elyt sent me these awesome Color Club Halo Hues 2015 collection. She is the best, I love her!! Color club won't be officially releasing this newest holo collection until this Christmas, so these are available only on few shops online!! One of them is Elyt's store!! 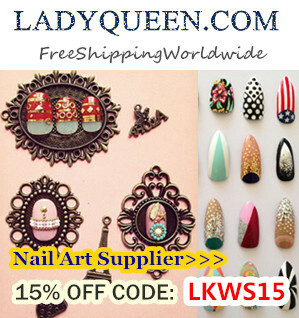 She gives awesome discount codes quite often too!! 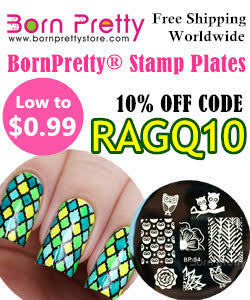 I will mention my discount code at the end of the post. So do check out!! Let the Holo battle begin!! Fingers Crossed - Its color is very hard to describe, I will call it silver linear holo but a little different by Harp on it from the previous Halo Hues collections. Shown here is 2 coats with top coat. Star light Star Bright - A beautiful light gold linear holographic polish. Shown here is 2 coats with top coat. Crystal Baller - A stunning blue linear holographic polish. This along with Sidewalk Psychic is the most stunning and unique shades in this collection. Shown here is 2 coats with top coat. Date with destiny- Its a lovely lightish lilac with intense purple shimmer in it. Excuse my skin color here, sun was almost down so it gave my skin a completely weird orangish yellow tone! Shown here is 2 coats with top coat. Sidewalk Psychic - It's a gorgeous, mind you!! A gorgeous Burnt brown color with intense linear holographic effect in it. This is a must have from this collection other than Crystal Baller! Shown here is 2 coats with top coat. Although it's one coater but I went for 2 anyway! What's your sign? 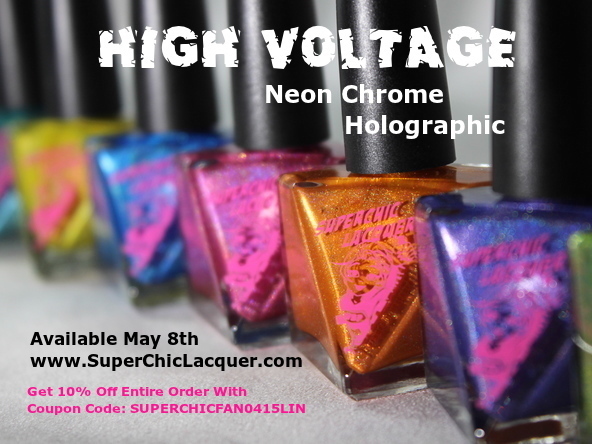 - Again a pinkish gray based linear holographic polish with intense pink shimmer in it.The shimmer is quite amazing. Shown here is 2 coats with top coat. Just my luck - It's again a silver-gray base with the linear holographic effect but this time it has a green shimmer. so it somewhat is onto the light green side. Shown here is 2 coats with top coat. After seeing all of them, you must have seen a very little difference in fingers crossed, just my luck and start light star bright. so I did a side by side comparison of them. As you can clearly see, Fingers Crossed and Just my luck are like identical twins with the only difference in them is just their shimmer which is not visible in this picture. Whereas Star light star bright is a bit onto the gold side. I hope I made everything clear! Overall the collection is good. The formula really glides on! If you want my advice on which ones are must buy, those would definitely be Crystal Baller and Sidewalk Psychic. These are my favorites from this collection! 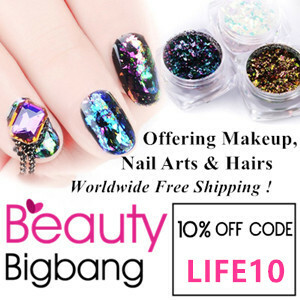 Use " LIFEISNAILS" at checkout for 10% off on your entire order above 20 Euros. You can get this stunning collection at Elyt's online store.